Join the 2018 Holiday Match Today! 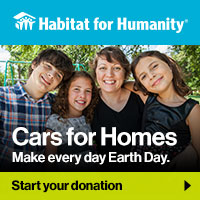 Your Holiday gift helps a family in need of a safe home. Your gift will strengthen a family, bring them stability and help them truly celebrate the joy of the holidays. Thank you. 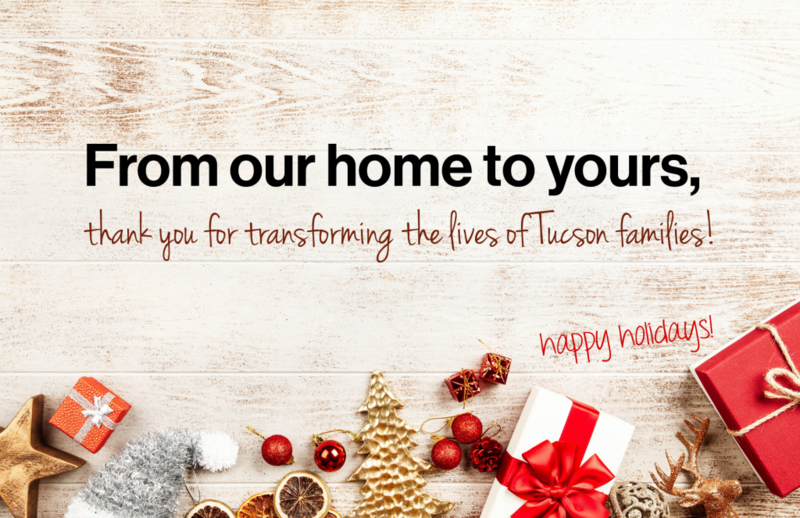 Your gift will make a difference—right here in Tucson. THE HOLIDAY MATCH IS HERE! Double your local impact! dollar for dollar in our local community! 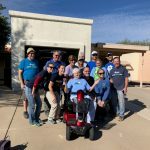 That means all gifts made to Habitat Tucson by December 31st, 2018 will help twice as many families. You can doubled a family’s chance to thrive. 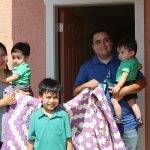 Thank you for investing in Habitat families and opening the door to a better future. You make it possible for a teacher and her young children to move out of a cramped, cold mobile home and into a warm house this winter. You promise a refugee family can put down roots in a safe, supportive neighborhood. You ensure a veteran and his family will be handed the keys to their future – a strong, stable home of their own.